Building a Mobile Application is an expression and a reflection of what we see is missing around us. Generating an idea for app for the first time might be a difficult task. While creating an idea to build an app, you might face certain issues that are necessary to eliminate because ultimately it will determine your app’s success. To get started, we are presenting some valuable points and recommendations to aid and challenge you for creating your masterpiece. Step 1: Explore ideas or find out a problem Look a step further to find out a creative idea and if you have one, good for you. If you don’t, read on. What everyone at present really need are the solutions to different problems and to create a solution, try to analyze the problems. Entrepreneurs fix the problems like the way you’ve not imagined. Everywhere around you, notice that each product and service is created in order to solve certain problem. For instance: A car is made so that you can travel faster from one place to another. A plan is made so that you can reach to another country even faster. 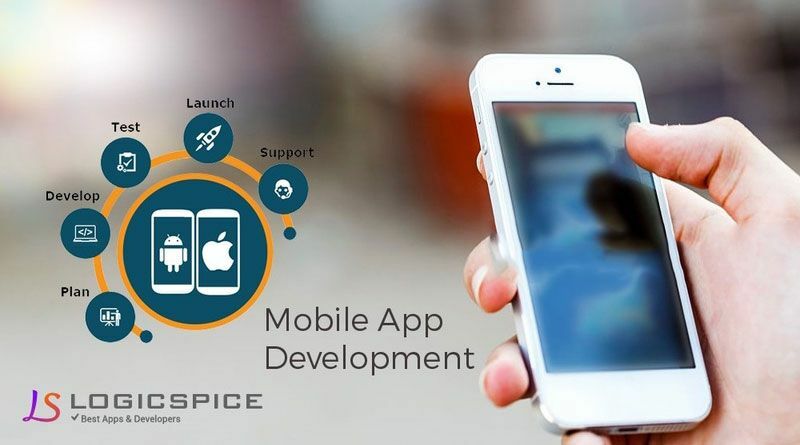 Same as a mobile application is a better way to promote your business globally but for this you need to hire an expert mobile app developer to get the best business app. So, the best idea is to analyze the problems around you and list each problem descriptively. Once you gathered the problems, start thinking on how to resolve them one by one. Then shortlist the problems that make the most sense and is helpful. Step 2: Need Identification To carry further, one of the important aspect is to validate your idea. Authentication of the idea will only prove that the demand exists in market. The basic and trusted way to do that is by using Google Keyword Planner. It helps to list no of searches for your idea and also can help to guide your decision further. Moreover, you can also create a landing page through which you can highlight the idea of your app and seek response through email. Step 3: Inspect the idea in detail Now that you have validated your app idea, you can be sure that you have something that people can be interested to use. The next and most important step is to elaborate your product into the document or use a wireframing tool if you want to go an extra mile. While writing your idea on a paper, don’t forget to give a detailed explanation in every step. Mention the flow process of how the user will be using the app and also add the features related to it. This will be helpful to the developer in understanding your idea and your expectations. Step 4: Eliminate non-essential features From the document you created, start analyzing the steps or features which you can eliminate. The basic aim of eliminating is to present only the main idea of the app. You should not include the features that are not in priority as you can always add them later as an update. It will help you to keep the low initial cost of development and will also help you to attain the market quicker. you can get the estimated cost idea of your business app through various app cost calculators. Step 5: Keep Design on priority Entrepreneurs believe that a basic design is the best design and one should focus on a simple and clear design for developing an app. But but but! It is the design that attracts the users most. It can be well explained with a thought given by Someone “ Design is the way of making technology useful.” So, chose the developer who puts design first. Step 6: Employ a designer Search out for an app development company that offers great designers and a strong development team. You can search for the developers credibility online and look out for the apps that they have made. If you liked an app they created, consider them the final ones to develop your app. Step 7: Make developer accounts To create a developer account, you should register for the developer account with the app store so that you can sell your app through the app store. You can register as a company and as an individual. Step 9: Improvise by getting feedback After your app is live, the customers’ usage and response can give you an insight on how you can improve and upgrade your app. Changes and enhancements are constant, be a keen observer and keep integrating the changes according to the likes and dislikes of the customer. Step 10: Initiate new features The first app which is made is built with limited no of features and after gaining customer experience, the time arises to introduce rest of the features that might have left out in starting. You can know about the feedback and analytics whether your features are relevant according to the current scenario. Previous Previous post: Can you take classes to learn how to DJ?